Prologue… Fracture… Prototype… the names of the first three albums by the death metal band Insurrection from Gatineau, Québec. And now comes Extraction, the band’s fourth full-length campaign against the human race. What more can they possibly do to us? You’re about to find out. The grim pounding begins right away… the riffing suggestive of a cold, mechanistic peril. The pneumatic punishment increases in intensity, the lead guitar bursting open in flurries of derangement and eerie slithering and shimmering, like a fluid of cold steel. I spoke of singing, but the words are really voiced in monstrous tyrannical proclamations (and incinerating shrieks), enhancing the song’s apocalyptic atmosphere while the music thunders and cracks with bone-breaking force. It’s an organ-rupturing experience for sure, but how can you resist their commands, or the desire to bang your addled heads? This is the second song from the album to debut within the last month. And if you haven’t heard “System Failure”, get your crash helmet on and check that one out following your run through the gauntlet of the song we’re premiering today. As I wrote after first encountering it, the music on “System Failure” punches and pulses like a berserk pile-driving machine augmented with heavy armament — pounding deep caters in the middle of a war zone while spraying mortar and machine-gun fire at a blazing-fast rate. 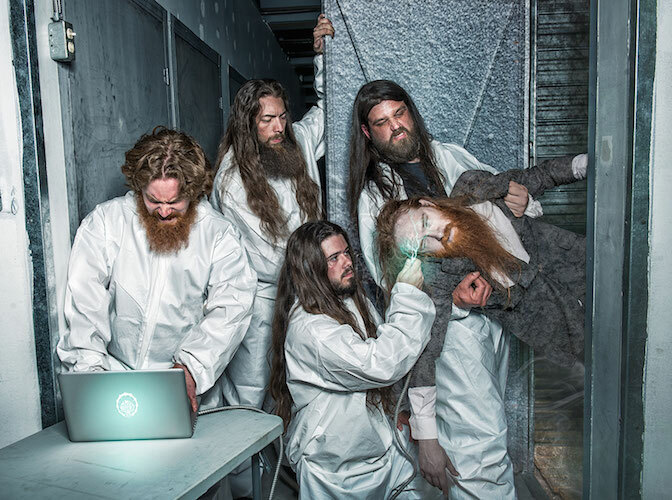 It’s immensely obliterating, but the grooves are especially titanic, just as they are on this newest song, and there’s a queasy little melody that surfaces like a snake before you reach the end. Truly barbarous vocals again, as well. Extraction was produced by Pierre Rémillard at Wild Studio (Cryptopsy, Obliveon, Gorguts, etc., etc.). It will be released by Galy Records on October 6 and can be pre-ordered via the link below. 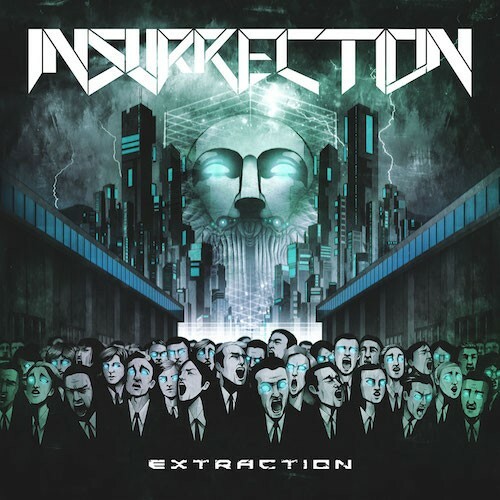 You can also catch Insurrection on their imminent tour in support of Extraction (check the dates after the links).